An infiltration of HYDRA results in unexpected consequences in Avengers: Age Of Ultron. In an effort to retrieve Loki's scepter from a lab in Sokovia, the team runs into two problems. In addition to heavily armed forces, the Avengers encounter a brother and sister with super powers. Pietro Maximoff (Aaron Taylor-Johnson) and his sister Wanda (Elizabeth Olsen) use speed and mental powers, respectively, to distract the team. The vision Wanda gives Tony Stark (Robert Downey, Jr.) shows him standing over his dead or dying comrades, with Captain America (Chris Evans) telling Tony he could have stopped the carnage. While they successfully retrieve the scepter, which contains an infinity stone, they find a cyber-presence in it they think might be useful. Tony and Bruce Banner (Mark Ruffalo) work on incorporating it into their Ultron defense system. Their plans take a turn though when an activated Ultron (James Spader) gets the notion humanity is the enemy. Violent acts soon ensue, including the murder of Avenger foe Baron Von Stucker (Thomas Kretschmann), and the team takes the heat for the troubles. He also gets JARVIS (Paul Bettany) out of the way. They take shelter in the home of Clint Barton (Jeremy Renner) while they plot their next move. During this time, Thor (Chris Hemsworth) flies to London to consult with Dr. Eric Selvig (Stellan Skarsgaard) about the visions Wanda had inflicted uopn him. Ultron, with all of SHIELD and HYDRA intelligence in him, looks to get a body for himself. He confronts Dr. Helen Cho (Claudia Kim) about making a body for him, using a rare material Tony had helped in procuring. This allows Ultron to build his own army, including Vision (also Paul Bettany). Vision, though, has a mind of his own. That doesn't stop Ulton from taking Natasha Romanoff (Scarlett Johansson) as a hostage and fleeing to Sokovia, where he plots even more destruction with Pietro and Wanda on his side. Nick Fury (Samuel L. Jackson) comes to the remaining Avengers with a response to Ultron's actions. Avengers: Age Of Ultron continues the run of solid action-adventure pictures from the Marvel film franchise. Ultron not only continues the story from the 2012 movie, but also builds on the Iron Man, Thor, and Captain America releases. Viewers are also introduced to Quicksilver and the Scarlet Witch (aka Pietro and Wanda) during this saga that sees the Avengers trying to stop a force that proves formidable to both them and HYDRA. Joss Whedon returns as the writer-director of Ultron, and creates a sequel that's only a little less exciting than The Avengers, yet still consistent with the previous installments. Ultron is formidable, but he's no Loki. 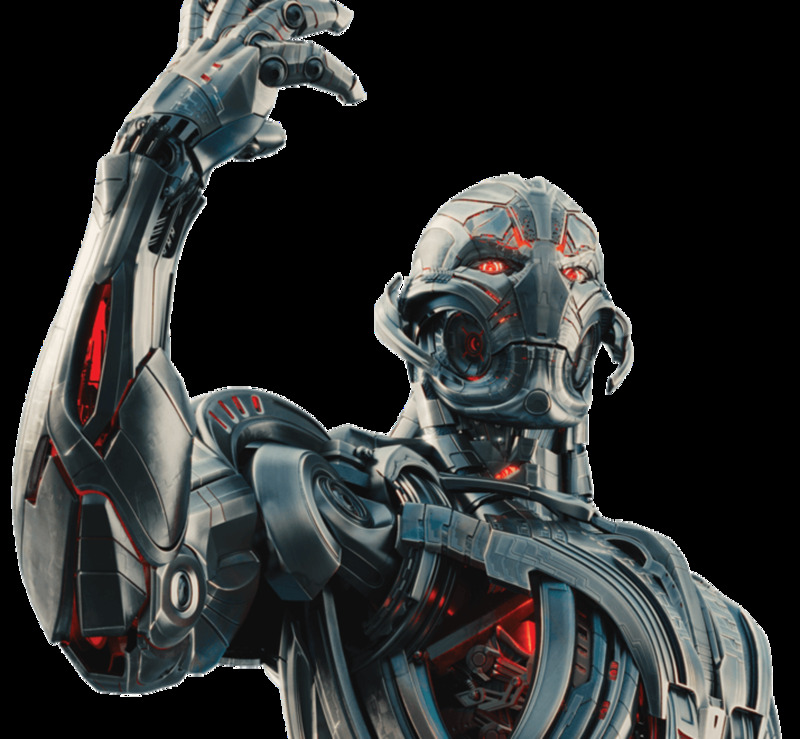 In terms of robotic foes, Ultron is compelling, but he's no Terminator - or even Ava from Ex Machina. Still, Whedon lets the team grow in its responsibilities and its relationships with one another. The leads are still fun to watch as their bonds grow. Downey still has plenty of smart remarks while reminding everyone he's still the inventive whiz who has the best interests of the world in mind, and that his iron suit only helps to further those interests. Evans shows he's still a man from the Greatest Generation, apologizing for any little slip of bad language. He and Thor, though, have worked out a new use for his shield. Hemsworth, as Thor, shows why he wields the hammer during a bar challenge. Johansson shows her superb skills with guns and motorcycles while also finding ways to control the Hulk. Ruffalo shows a man conflicted by his growing fondness for Black Widow and what happens when he gets agitated. Renner is a marksman with arrows who also has a wife and a growing family. Spader provides a voice of dispassion about humanity while systematically using them on his rise to power. Olsen and Taylor-Johnson do well in support as beings with powers they've only begun to explore. Other Marvel actors making small appearances include Don Cheadle (Major James Rhodes), Anthony Mackie (Sam Wilson), Idris Elba (Heimdall), Cobie Smulders (Maria Hill), and Hayley Atwell (Peggy Carter). Josh Brolin appears at film's end as Thanos. Stan Lee has an amusing cameo as a World War II veteran who winds up in the same bar where the Avengers celebrate a victory over HYDRA. Avengers: Age Of Ultron is a sequel that shows how the team grows, both together and individually. They cannot - and do not - rest on their past accomplishments. So much needs to be done in the world, as well as at their headquarters. In this installment, they face a foe they inadvertently created. Other consequences follow, including a question of their ability to avenge effectively. A world still depends on them, wheteher they appreciate the need for the team or not. A force threatens the planet with extinction, and lays out a plan bit by bit. The Avengers seek to keep Ultron from maintaining the upper hand, and keeping the world safe from a force that cares little about the world as he experiences it. They show their imperfections while showing they need to be Earth's first line of defense. On a scale of zero to four stars, I give Avengers: Age Of Ultron 3.5 stars. Whose planet is it anyway? Loki is not in this movie, but he was in the first Avengers movie, as well as both Thor movies. Loki is the half-brother of Thor, so I'm sure Thor followers will see more of him. When Thor teams with the other Avengers, though, he usually deals with other foes. Unfortunately I didn't get to see this one even if I wanted to really bad ... couldn't find the time. But I think I have heard the name Loki in another movie, I don't remember what movie. Is it the same character continuing its story here or did they just lost creativity and used the same name? Thanks. I can see what you're saying, especially with the reboots of the Spider-Man and Fantastic Four franchises. Marvel has also been releasing three films per year lately, but they can do that when they've had so many successful releases. I think Marvel has hit its stride with the Iron-Man and Avengers movies, and Guardians Of The Galaxy shows a more fun side of the Marvel universe. I'll start to worry, though, if Marvel releases movies that are as lame as Terminator Genisys. I haven't seen it and probably won't. I think I'm suffering from superhero overload now. They have definitely oversaturated the market with this stuff now, and this coming from someone who used to be a Marvel comics devotee. Great hub!